When it comes to your kids, nothing is more important than their safety. After selecting your kids’ play set consider the playground surface underneath. Most injuries on playgrounds occur as the result of a fall on surfaces that are abrasive, hard or just plain unsafe. This is where Genesis Playground Turf comes in. We have worked hard to develop the safest, most consistent playground surface anywhere. Our system is designed for all types of playground equipment and protects children from falls as high as 12-feet under accordance with IPEMA standards and CSA approved fall attenuation. A playground should be a safe place for your children to run and play, however sooner or later your kids are going to end up on the ground or taking a fall when they’re playing. Genesis Turf offers the perfect solution for playground surfacing. 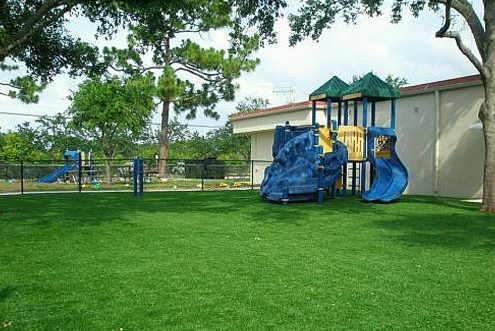 Whether you are a day care facility, community play area, public park, or private playground area, we have been testing our products for years to ensure that we produce only the best artificial turf surface for these applications. We have systems available that can meet any desired fall height rating up to 12 feet! With the Genesis Shock-Pad underlayment, you can have the safest turf in the industry. Genesis Playground Turf is softer and safer than gravel, dirt, wood mulch or natural grass and is practically maintenance-free. You can feel confident that your children will have a safe play surface when you choose Genesis Turf to cover your playground. Genesis Turf provides a more natural look and feel than rubber tiles, pour in place systems, or mulch. Our playground turf will not move like mulch or pea gravel, plus it’s more cost effective than any other surface. Our playground turf can be installed to meet any HIC requirements! 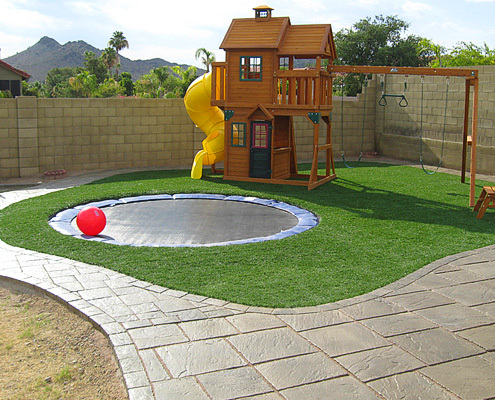 Our various styles of artificial playground turf are in stock and readily available. Contact us today if you are interested in learning more about the benefits that Genesis Turf can provide your playground area. We believe in only the best when it comes to the safety and security of your children. There are many options available for playground surfaces. Mulch, pea gravel, rubber or even another artificial grass product have all been used for playgrounds. None of those can even compare to the Genesis Turf Playground System. 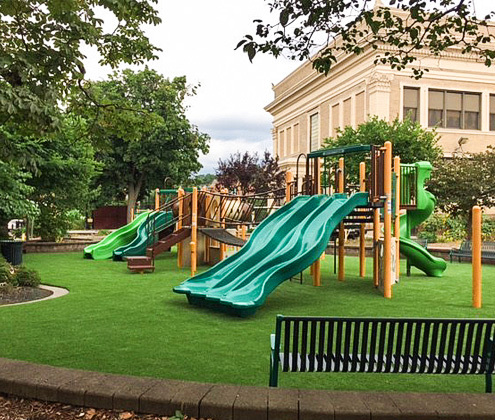 The Genesis Turf Playground System is the only playground surface that provides consistent safety standards in high traffic areas, in any weather, at any height, and under all types of play equipment. All this plus the look of beautiful green grass. While safety is our number one concern, there are many other advantage to using the Genesis Turf synthetic grass Playground System. 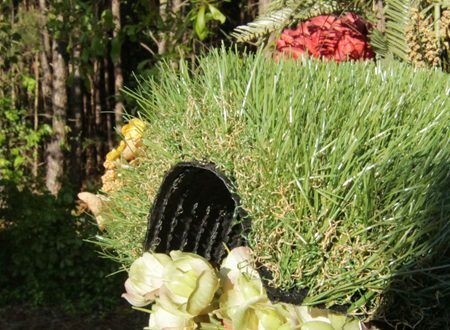 Our primary backing system is 100% recyclable and designed to give our artificial turf an extended life span and keep your turf properly positioned. Our play safe shock pad provides the ultimate shock absorption and drainage. This keeps kids safe and the turf usable when others are still drying. This anti-microbial, non-toxic, non-flammable infill stays cooler and lasts longer than other infill materials. Heat Shield technology reduces the amount of heat that can be absorbed into the turf blades. 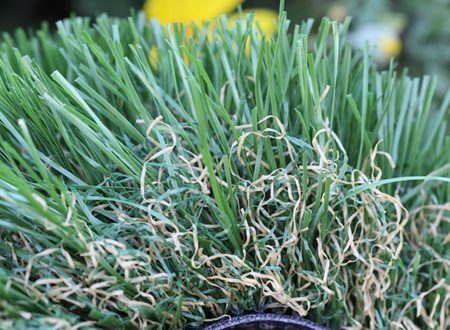 This can keep your turf cooler in the summer by up to 17.5° F.
Genesis Turf artificial grass is less reflective so it looks more like natural, fresh-cut grass. After all, who wants a shiny lawn?Static ShieldOur industry leading Static Shield technology is built into the turf to reduce static build-up on the playground surface.IPEMA Certified:Genesis Turf playground surfaces are certified for safety by the International Play Equipment Manufacturers Association. Non-abrasive – No more cuts and bruises at the playground. Genesis Turf is soft to the touch and easy on the skin. No grass stains – Kids stay clean and out of trouble when mom goes to wash their clothes. Non-allergenic – Happier healthier kids. 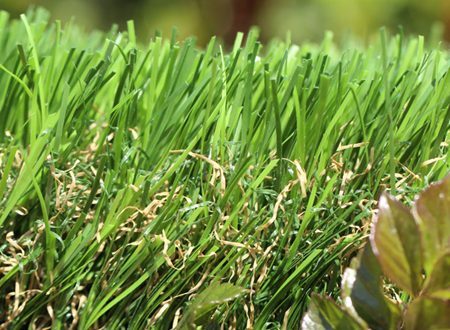 Allergies caused by natural grass are a thing of the past. Superior drainage – Genesis Turf drains at a rate of 28 gallons per minute. It’s always ready for play, even immediately after a rain storm. Stable in all climates – winter, spring, summer and fall Genesis Turf gives your protection all year round. Easily replaceable – Replace only the high-traffic zones without replacing the entire playground. For children and adults, Genesis artificial grass playground surfaces are safer, cleaner and more comfortable than natural sod or a rubber playground grass surfaces. Genesis Turf artificial grass greatly reduces threats from insects, unwanted pests and grass allergies. Our industry leading synthetic grass combined with our installation is able to meet the ASTM 1292 fall height requirements for up to 10 feet. 14 foot heights can be certified with additional ASTM testing and padding adjustments. Imagine a state-of-the-art artificial grass play surface created to offer a realistic look and texture, with the ability to drain faster and cleaner than real grass. Our beautiful green artificial grass will stay lush, soft and cushiony through extremes in weather, foot traffic and function … guaranteed!